Flora Crescent Shawlette uses just 1 hank of Artesano Definition Sock Yarn. This shawl is started at the bottom and you cast on nearly 300 stitches. But don't let that put you off! 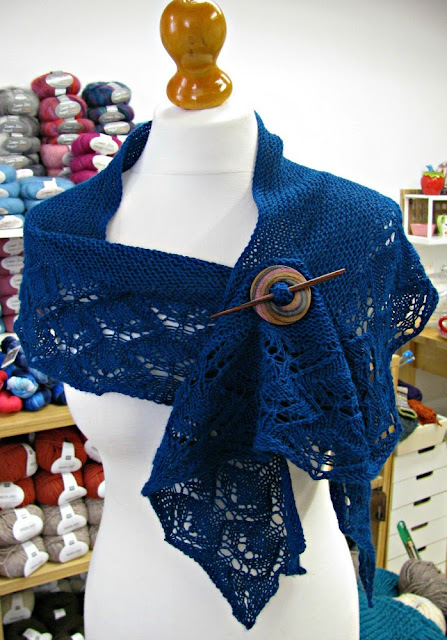 After the lace edge its easy peasy garter stitch and short rows to shape the shawl. You could make the lace edge easier by using stitch markers to separate each pattern repeat. So, if you need to, you can quickly double check each section before moving on to the next. 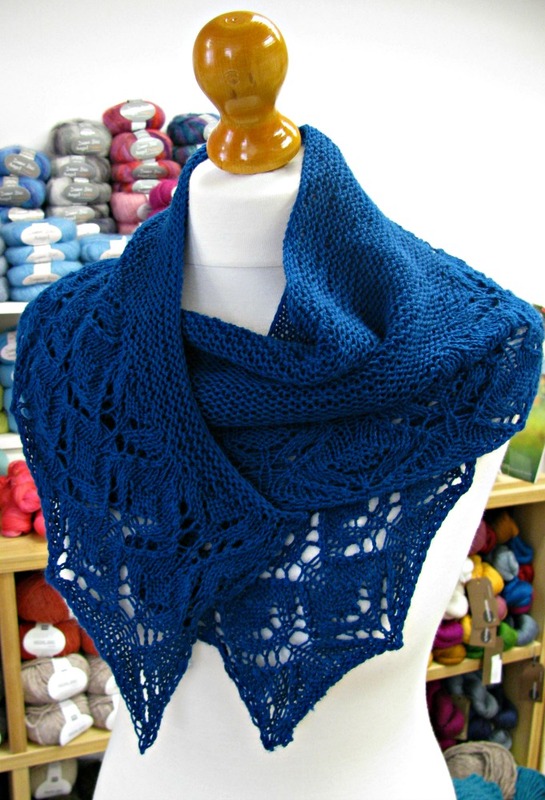 This shawl would be great as a next step lace project - for those looking for a more challenging pattern. 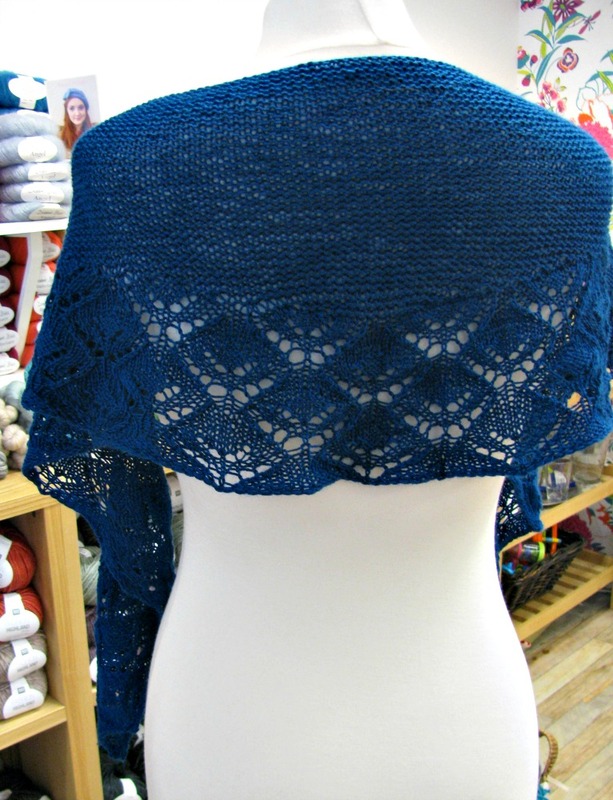 With lace pattern on both sides you need to pay attention to your yarn overs! It also features left and right leaning decreases - an important part of the design. The pattern is both written and charted. 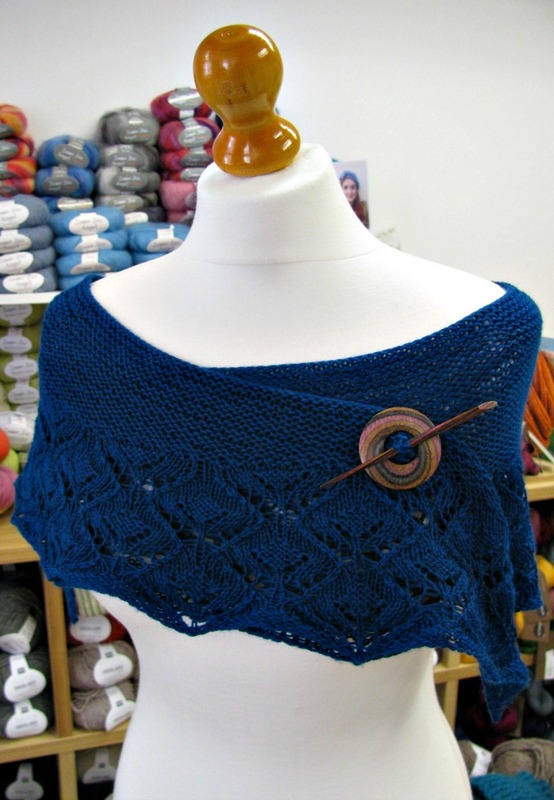 The chart is very clear and makes it easy to see where you're holes and shaping sit within the design. If you haven't given charts a go - try it with this pattern. 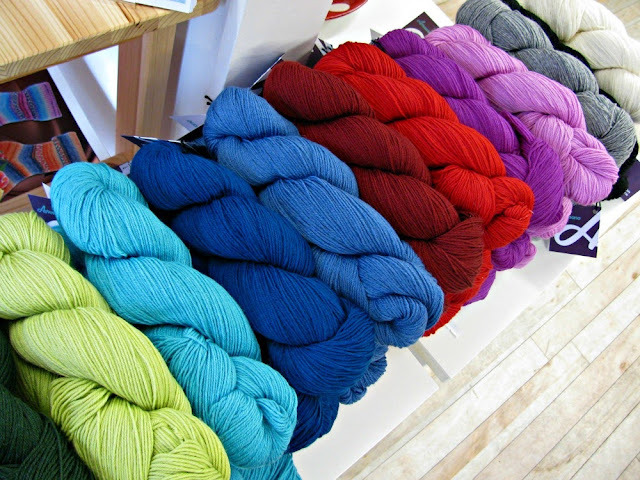 The pattern is featured in the Definition pattern book, which also includes garments and socks... all the patterns use just 1 or 2 hanks of this lovely wool. Shawl, yarn and pattern book in the shop!